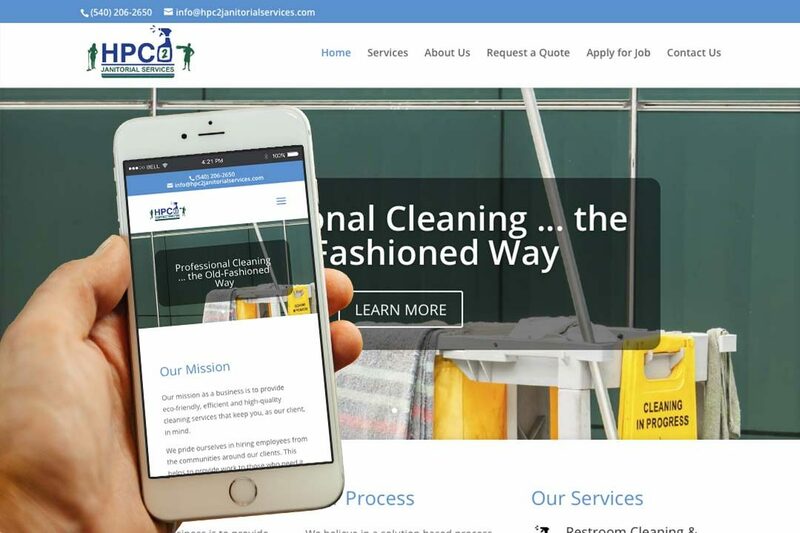 HPC2 Janitorial Services • IX Publishing, Inc. The tagline for HPC2 Janitorial Services reads thus: “Professional Cleaning… The Old-Fashioned Way.” Even their name reflects their priorities: HPC2 stands for Healthy, High-Performance Professional Cleaning Services, while the 2 signifies “Right the 1st time, or we will do it a 2nd time.” They aim to provide high-quality, eco-friendly cleaning services, staffed by workers from the client’s community. HPC2 values their employees, ensuring they all are pre-screened, well trained, and insured. Their services include carpet cleaning, garbage removal, restroom sanitizing, and wood and tile floor maintenance.